﻿ Civil - Print-O-Stat, Inc.
Another top enhancement in Carlson Civil 2017 is the ability to create a curb ramp out of 3D polylines – the program adjusts the polylines to fit in the ramp to your specifications. Other top features that are in all Carlson 2017 releases include the Carlson Community for sharing files with other Carlson users; the new "Supersonic" 3D Viewer for loading surfaces that provides excellent graphic presentations; an improved Report Formatter; and a new command for importing MSWord documents and dynamically link them to drawings. 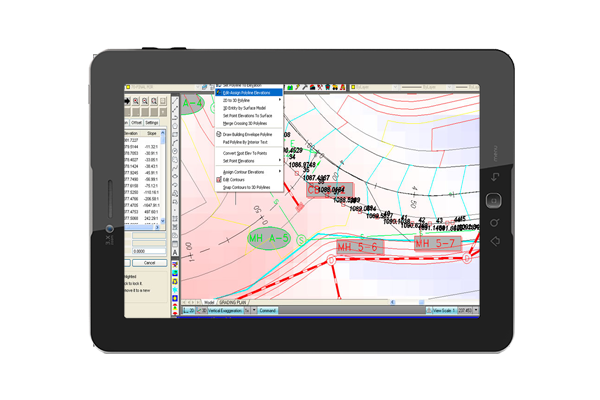 Work with Carlson Civil on AutoCAD (versions 2010 to current) or with the built-in IntelliCAD 8.2. With Carlson Civil, you'll get true 3D, easy-to-use 3D, plus, with the updated 3D Flyover, any surface edits made in CAD are automatically updated in the 3D view.